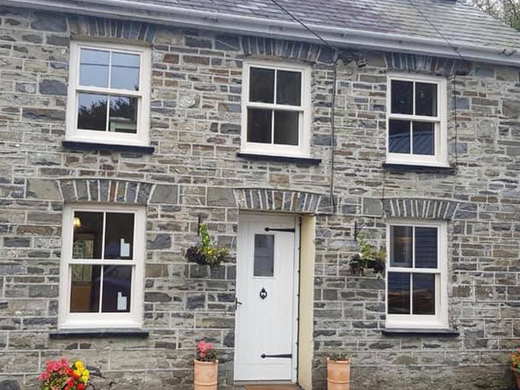 South Wales Windows & Doors supply a fantastic selection of aluminium doors, suitable for both the domestic and commercial sectors, offering traditional and contemporary designs. 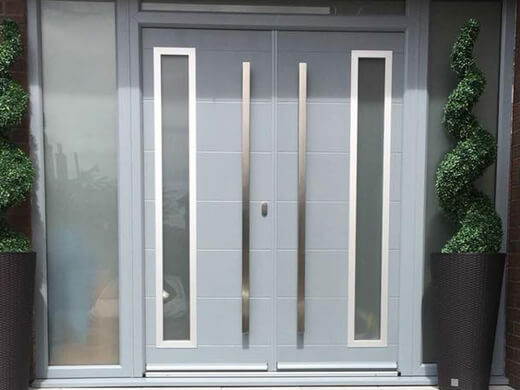 The available styles of aluminium doors include swing, patio, tilt and slide as well as many other variations, along with single doors and French doors. Aluminium doors offer an unbeatable combination of strength, durability and security, while also being highly resistant to corrosion. 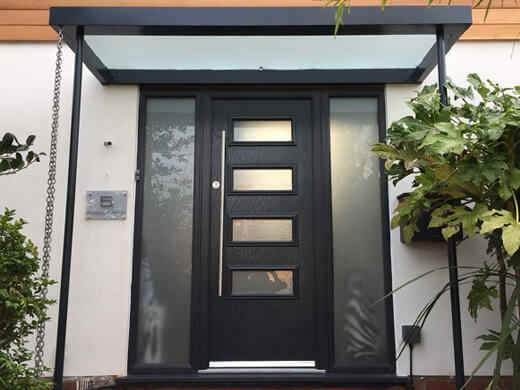 The natural strength of aluminium results in a less detectable, slimline frame, which is able to accommodate more glass, making it ideal for those looking to maximise the light entering their home. 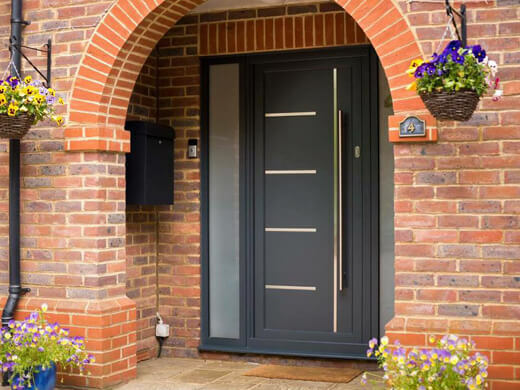 Why Choose Our Aluminium Doors? Our aluminium doors require very little maintenance, and are built to withstand the test of time. This is further helped by aluminium’s lifespan, which is measured in decades rather than years. In regard to the environment, aluminium is also a sustainable material which is suitable for recycling, so you can be sure that your investment won’t harm the planet. Over the years we have installed aluminium doors for customers across South Wales and Cardiff. In this gallery you can see some of the incredible results we have been able to achieve for our customers. As you can see, our aluminium doors are perfect for residential and commercial projects. 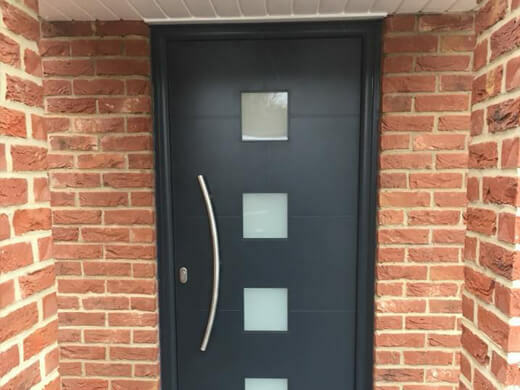 Our aluminium doors are available in over 200 colours and finishes, ranging from a matt, gloss or metallic effect, to a low-maintenance and scratch resistant Coatex finish meaning you have lots of different styles to choose from. 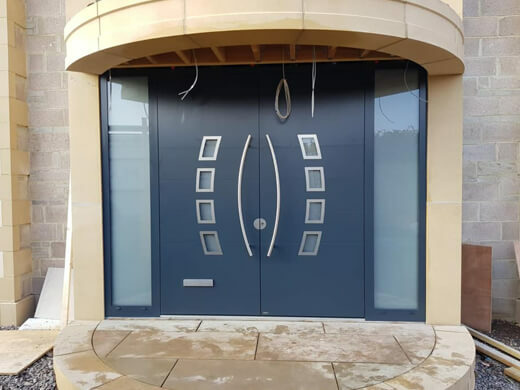 Our aluminium doors are thermally broken, and are available with beautiful glass designs, proving high security, and superb quality. We have been installing doors of all kinds for decades. Our team of experts is on hand to help you choose and install your new aluminium doors with minimal fuss. Placing an order with us and tracking its progress is simple. Call us any time to check how your aluminium door project is progressing. 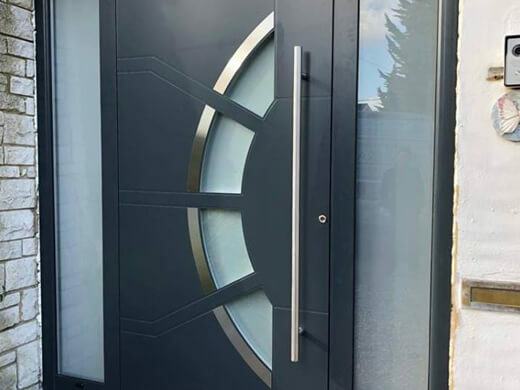 If you would like any further information regarding our aluminium doors in the Cardiff and South Wales area, please fill in our online enquiry form or call us on 02920813488.